The doctoral training program in clinical psychology at The University of Alabama was founded in 1959 and is based on the scientist-practitioner (Boulder) model. The program has been continuously accredited by the Commission on Accreditation of the American Psychological Association since 1959. The department has awarded more than 700 PhD degrees in the past 50 years; approximately 75 percent of those have been in clinical psychology. Alabama PhD graduates function in a variety of settings as teachers, researchers, providers of clinical services, and policy makers, holding positions of leadership and service in the Southeast and nationally. The program emphasizes the integration of scientific knowledge and the professional knowledge and skills needed to function as a clinical psychologist in academic, research, or clinical settings. Clinical coursework is begun during the first year and continuous practicum and research opportunities are provided throughout the training experience. Program unity is achieved through core experiences required of all clinical students. Diversity of training experiences is also encouraged and available through specialty training, electives, placements, and research activities. The clinical orientation of the Clinical Training Program may be described as eclectic with an emphasis upon cognitive-behavioral and interpersonal process approaches. A joint PhD-MPH (Master of Public Health) with The University of Alabama at Birmingham is also available. Students interested in the PhD-MPH combination must be admitted to each program separately. The Department of Psychology and the College of Arts and Sciences support a full-service psychology clinic that serves as the primary training facility for clinical doctoral students. The clinical psychology program is accredited by the APA, and all clinical work is closely supervised by licensed clinical psychologists. The Tuscaloosa area is unusually rich in health and mental health resources particularly in relation to its size. For many years, Tuscaloosa has been considered to be the mental health center of the State of Alabama primarily based on the presence of three major psychiatric hospitals. These facilities have been cornerstones of training during the 50-year period that this department has engaged in doctoral education. Facilities that are somewhat unique to this campus include a forensic hospital (Taylor Hardin Secure Medical Facility) that provides a particular interface with the Psychology and Law concentration. Likewise, a unique relationship exists between the Clinical Child concentration and the Brewer-Porch Children’s Center, a residential treatment facility, and the Geropsychology concentration and the Mary Starke Harper Geriatric Psychiatry Center, an inpatient psychiatric facility for adults aged 65 and older. Other clinical sites with which the program has ongoing relationships include the University Medical Center, Bryce Hospital (an inpatient psychiatric state hospital for adults), the Veterans Administration hospital, and the Student Counseling Center. In most facilities, paid supervised placements have been developed for advanced students. All placements are supervised by a licensed psychologist holding either full-time or adjunct faculty status. “We at the Psychology Department at The University of Alabama are devoted to promoting diversity in all forms including ethnicity, gender, sexual orientation, national origin, culture, age, and socioeconomic status. We pride ourselves on maintaining a collaborative atmosphere, and minority students are strongly encouraged to apply to our program. The department realizes that the interview process can be quite expensive and may interfere with an applicant’s ability to apply to programs in which they are otherwise qualified. 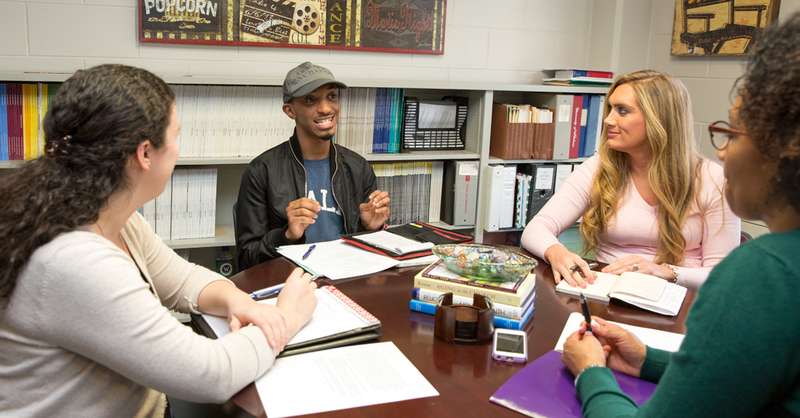 Therefore, we are willing to help qualified minority applicants with the costs associated with interviewing here at UA. Diversity is integrated throughout the activities of our program including components of research, clinical activities, coursework, and service opportunities. Research projects focusing on providing services to or documenting the experiences of minority populations are especially encouraged. Additionally, minority students are provided with the necessary support to apply for special grants and fellowships to fund their graduate work. Clinical students are taught to incorporate the various aspects of their client’s identity into case conceptualizations in order to provide care that is culturally appropriate. Tuscaloosa is home to many unique clinical placements due to its proximity to several psychiatric hospitals. The Mary Starke Harper Center, Bryce hospital, and the Taylor-Hardin Secure Medical Facility all provide students with the opportunity to work with rural and/or forensic patients of different ages and with different psychological diagnoses. In addition to numerous paid clinical stipends at the above noted facilities (primarily reserved for third- and fourth-year students), the department has teaching and research assistantships ($13,500–$14,562 stipend during academic year) and fellowships ($15,000 – $20,000) for highly qualified applicants. Most of these also carry a grant for most or all tuition. Research grant support is also increasingly available. During the past several years, all clinical students admitted have received some type of financial assistance. Students who are admitted to the graduate program receive a letter of offer specifying the financial assistance to be offered. In the vast majority of cases, students are offered the equivalent of 4 years of financial assistance, including a tuition grant for the academic year. In most cases, students also receive financial assistance beyond their 4th year. The student body of the clinical graduate program comprises a diverse set of students. Currently there are approximately 45 clinical students on campus, and 9 pre-doctoral interns. Six clinical Ph.Ds. were awarded in 2017. Though adhering to fairly rigorous admission standards, the department encourages diversity in terms of background and other demographic factors. Entering students include those fresh from undergraduate programs, those with recently completed master’s degrees, and several who have significant work experience. The clinical program and the department as a whole actively recruit minority students, particularly African-Americans. For the 2017-2018 application year, 13 students were admitted. Student admissions data for the past several years reflects the caliber of student that we attempt to attract. Typical GRE scores (verbal plus quantitative) for entering students have averaged around 314. The average grade point average for entering students is approximately 3.8. GRE and GPA data for entering clinical psychology classes can be found at student admissions, outcomes, and other data, in compliance with APA Implementing Regulation C-26. The minimum GPA required for regular admission is 3.0. However, successful applicants typically exceed this minimum. Conditional admission may be granted if GPA is below 3.0 but other credentials are outstanding. The minimum GRE required for regular admission is 300 (verbal and quantitative combined); however, successful applicants typically exceed this minimum. Conditional admission may be granted if scores are below 300 but other credentials are outstanding. *Enrolled hours over 15 are assessed an overload fee per hour of $425.00 for graduate residents and $1,155.00 for graduate nonresidents. *The rates for 1-4 hour enrollments do not include activity, recreation, athletic privileges, nor health services. A student who is enrolled for 4 or less hours may purchase the Activity/Recreation/Athletic privileges for $361.00, and/or the Health Center services for $149.00 per semester. For further information about the program and the application/admissions process, contact Mary Beth Hubbard, graduate programs assistant, (205) 348-1919, mary.b.hubbard@ua.edu, or the UA Graduate School.